What Steps are Involved in a Smile Makeover at Dental Experts? 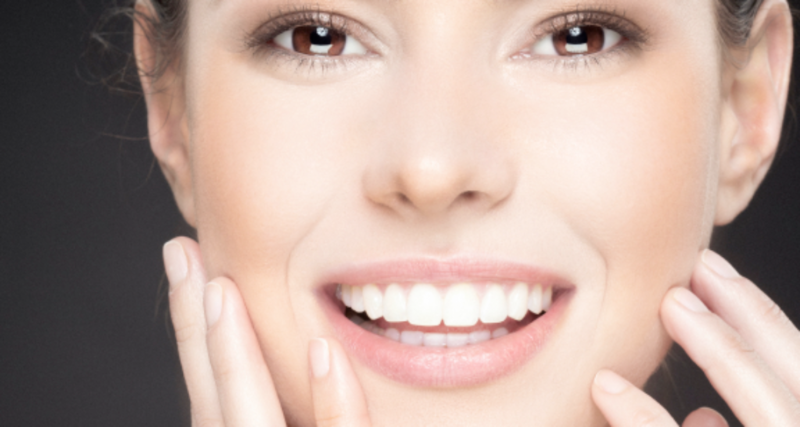 What Steps are Involved in a Smile Makeover? A smile makeover is a customized combination of a wide range of dental treatments to enhance and make beautiful your smile. The reasons are as numerous as the people seeking it. 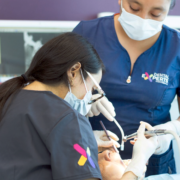 A smile makeover is possibly the main reason for looking into cosmetic dentistry, and you will work closely with your cosmetic dentist at Dental Experts Guatemala to reach your goals, and achieve results which can be subtle or dramatic. Your cosmetic dentist will consider your unique appearance (facial structure, skin tone and hair color), and your oral health (the condition of your teeth, bone, gums, and lips. Together with your dentist, a treatment plan will be developed to achieve your ideal smile. What kind of Treatment can I expect with a Smile Makeover? Treatment may involve a single visit to replace silver/amalgam fillings with white composite fillings, or it may involve replacing missing teeth with dental implants, bridges, or partial dentures. If a gummy smile is the problem, Dental Experts Guatemala has a periodontal dentist to perform a procedure called crown lengthening – this will remove a small portion of gum tissue and restore harmony with proper proportions to your teeth. Uneven gum lines can also be corrected with this type of periodontal surgery. There are many dental technologies to show you the changes that you can expect to see in your smile, some of them in 3D. It may be by computer with digital imaging software, or with solid materials like wax models or dental study models (plaster casts made from impressions of your teeth that are reshaped). You can view before and after photos or smile enhancement photos (side by side photos of now and enhanced), or you may see first-hand what the finished plan will look like with a temporary composite bonding mockup to show comfort, fit and look. A consultation to discover what you want to improve or change, be it color, shape, or tooth position. A thorough examination of your teeth, gums, bone, and bite (occlusion), and X-rays will be taken. 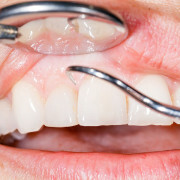 If you have an oral health problem such as gum disease or a misaligned bite, that will need to be treated before proceeding with cosmetic procedures. Your individualized treatment plan for your smile makeover will be discussed with you and prepared. Preliminary work to prepare your teeth for veneers, crowns, etc. is done, and temporary restorations are affixed to show you a “trial smile” that looks better than the one you walked in with. Follow-up visit(s) with the dentist to evaluate the temporary restorations for contour, position, color, etc. You have the opportunity to express satisfaction or discuss changes for the new smile. Laboratory work is done by an expert ceramicist if porcelain restorations are in the plan. Finish work placing permanent restorations to create a dazzling smile! When treatment is complete, maintenance at home is the key to keeping the new smile bright and beautiful, simply by exercising good dental habits and oral hygiene, and having regular dental visits and professional cleanings. The exact amount of time for your makeover will depend on your cosmetic goals and the treatments you are going to receive. It may take as little as a single day, or with complex treatments, a year or more to thoroughly renovate your smile. For instance, if dental implants are part of the plan, there will be several months of healing for the implant to fuse (osseointegrate) with the bone. A brighter smile can improve your confidence and emotional well-being, and you may find that both your social and work life improves. You may find yourself smiling more than you have in years, and be more willing to meet new people and to engage in more social activities, and that’s a good thing! Let the expert team members at Dental Experts Guatemala answer any questions about your dental health. Fill out the Contact Us Today form and a qualified dental specialist will contact you to discuss your case. 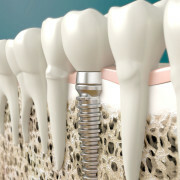 After a small period of adjustment, you won’t even feel the sensation of an implant. 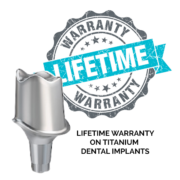 And your dental implant will last virtually for life.